Today is the feast of St. Gabriel of Our Lady of Sorrows. Last year I was very fortunate to meet a young man studying in Oxford (England) who has a great devotion to St. Gabriel. He maintains a very comprehensive blog site on the life and spirituality of St. Gabriel, Patron of Students and Young People. 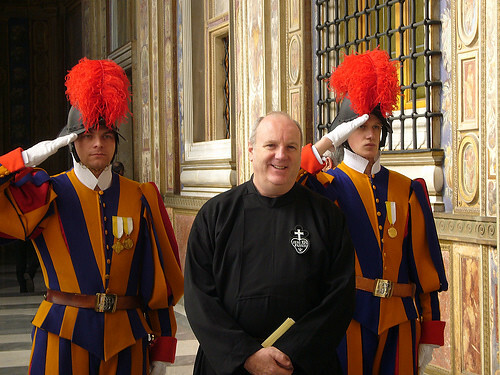 Father Denis Travers, C.P., Australian Vicar General of the Passionists, at the Vatican Consistory for the Canonisation of Blessed Charles of Mount Argus. 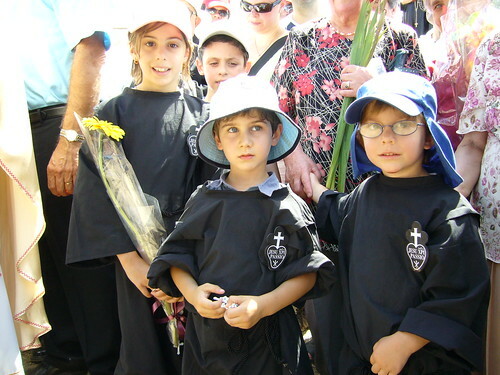 The Association of St. Gabriel of Our Lady of Sorrows in Melbourne recently celebrated a Mass and Procession in honour of St. Gabriel at the Passionist Monastery in Templestowe (Victoria). 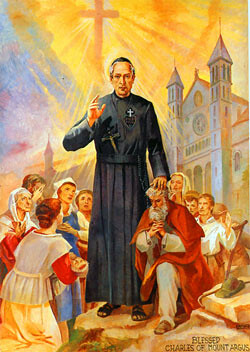 Father Gabriele Panetta, C.P. from the Shrine of St. Gabriel in Italy was the Principal Celebrant of the Mass, together with Frs. Tiernan Doherty, C.P. , Chris Monaghan, C.P., and Gary Perritt, C.P. 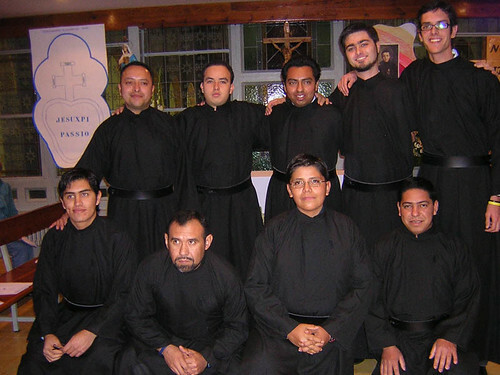 On 23rd February, 2007 nine novices of the Interprovincial Iberian Conference (CII) at Zuera, Zaragoza, Spain received the Passionist Habit. On Friday 23rd February 2007 Pope Benedict XVI announced the canonisation of another Passionist. 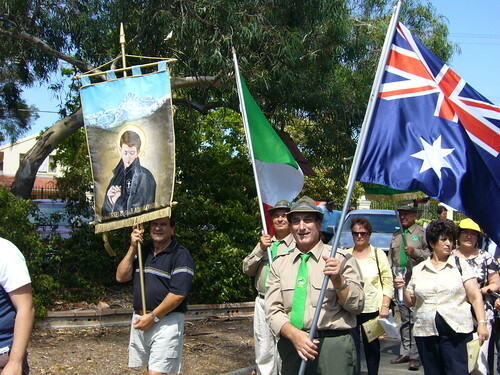 The Declaration of the Canonisation of Blessed Charles of Mt Argus. Held in one of the smaller Assembly Halls within the Vatican, the official ceremony, presided over by Pope Benedict, marked the final formal steps in the process of canonisation. The ceremony itself was conducted as a Prayer Service and was much like the format a morning or evening prayer from the Office of the Church. After calling us to prayer, Pope Benedict led a simple service consisting of three psalms, a short reading, the public declarations and the final prayers and blessing. The declarations as to the virtues of Charles were read by the Cardinal Secretary of the Congregation for the Causes of Saints, Cardinal José Saraiva Martins. He declared that everything necessary had been achieved now for Pope Benedict to be able to set forth Blessed Charles as a new example of holiness. Pope Benedict then affirmed that Charles and the other four persons named in the ceremony would be declared Saints. All in all the simple ceremony lasted about one hour, but we are assured that the public ceremony to celebrate these canonisations will attract many pilgrims – particularly from Dublin and from Holland where Charles was born. People seemed drawn to Charles because of a simple and deep holiness. He now will become our fifth Passionist religious and first English speaking member of our Congregation to be canonised. Perhaps our response to his moment might well be the challenge to learn and imitate the lessons of his life. Our congratulations are extended to the Passionist Provinces of Holland and Ireland/Scotland that share a special place in this saint’s life.